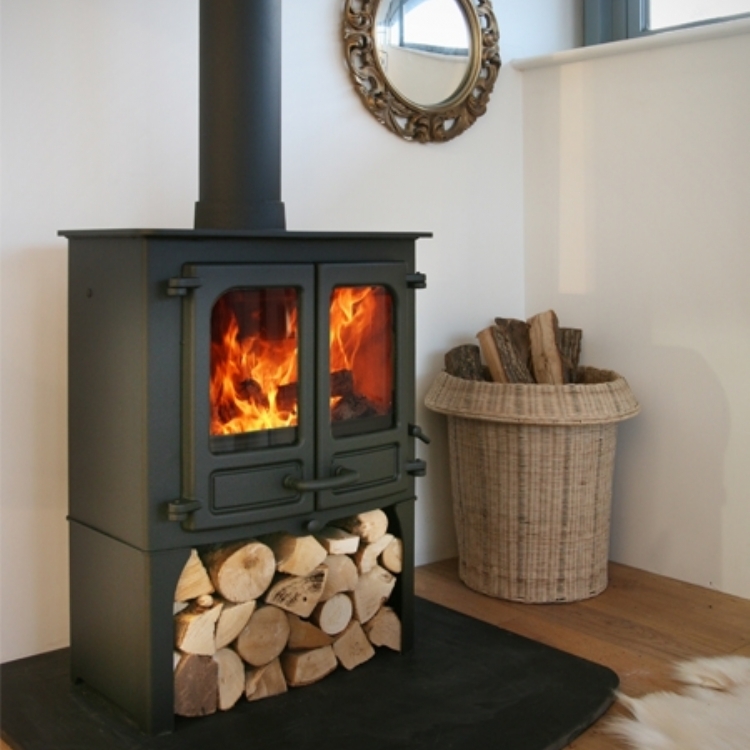 Charnwood Island in Yellow Cottage wood burning stove installation from Kernow Fires. 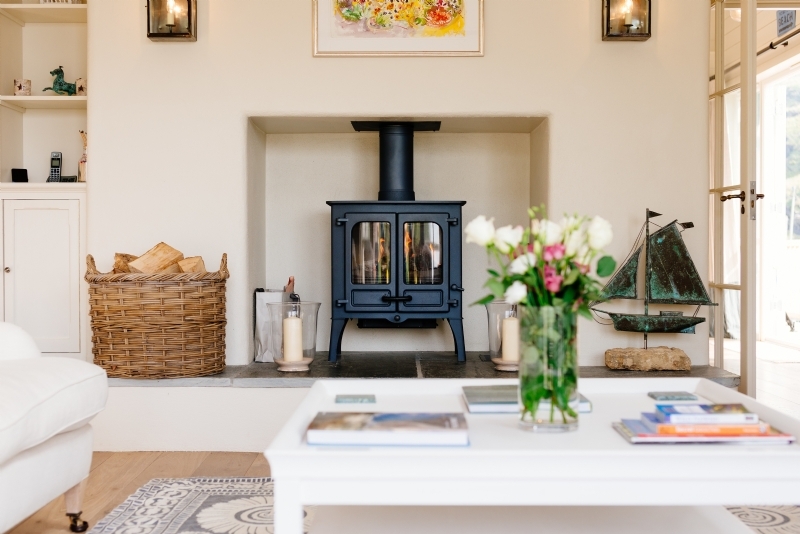 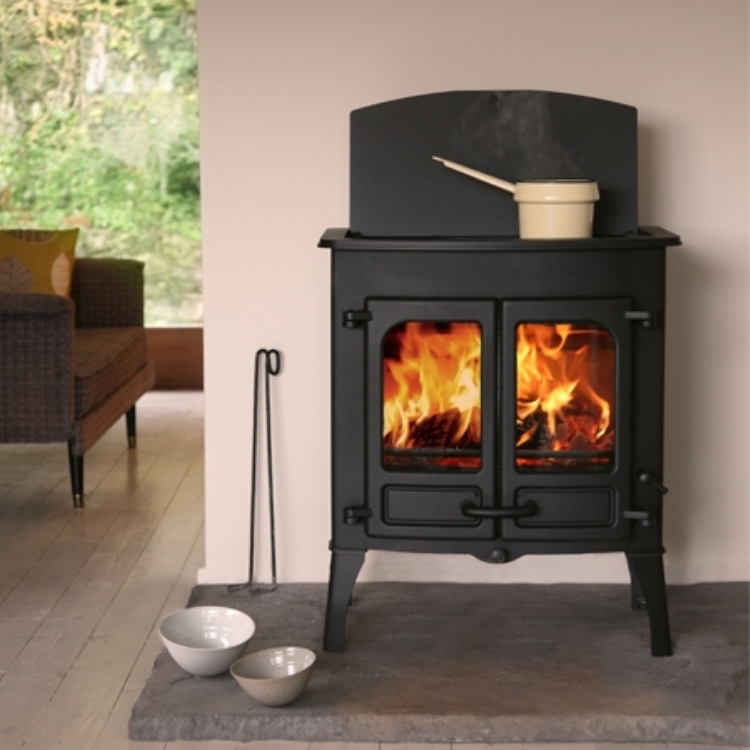 The Charnwood Island is a good solid multi fuel stove, perfect for holiday lets. 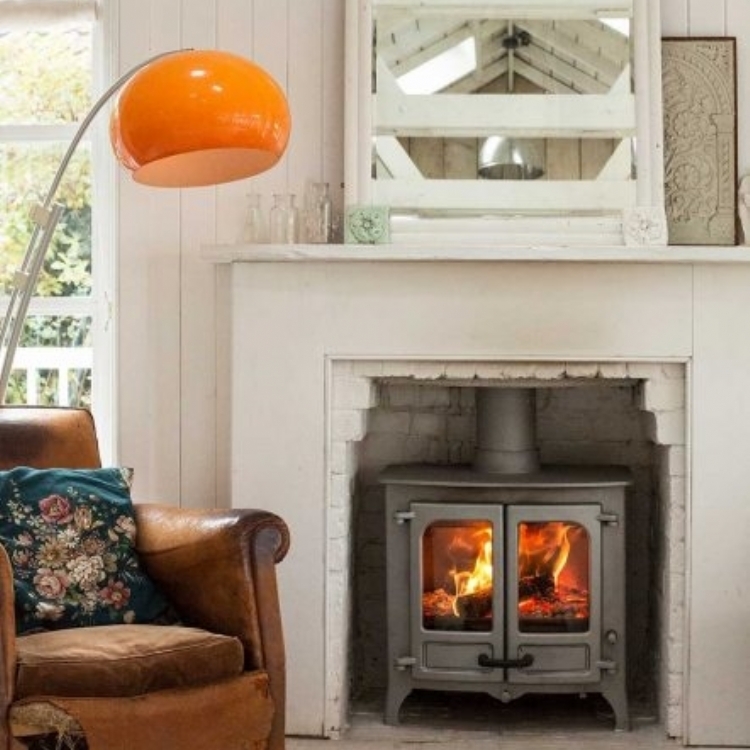 The double doors gives a traditional feel and creates a wonderful warmth throughout this large room. 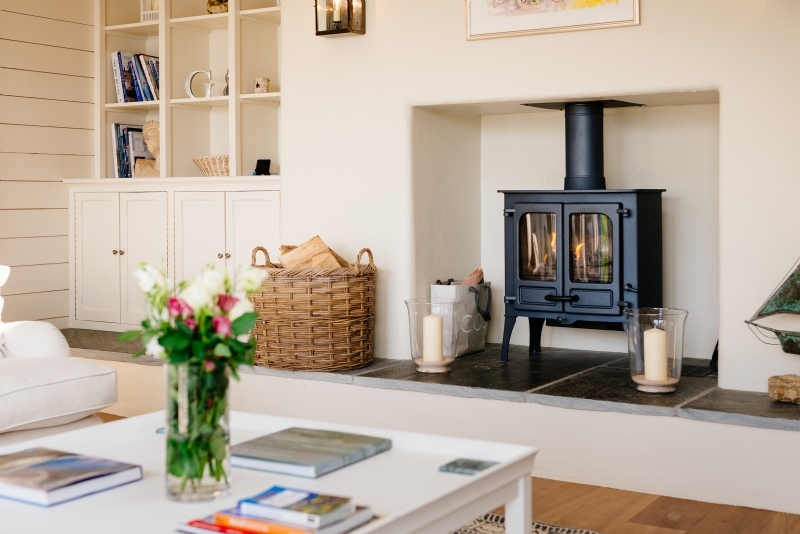 The Yellow Cottage is available from Perfect Stays as a holiday let in North Cornwall.